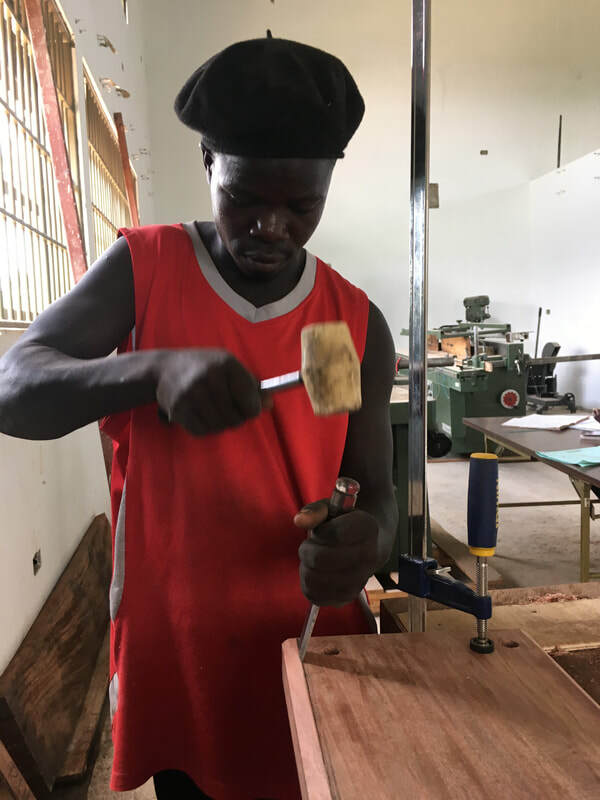 Thanks to our generous donors Connect Africa Vocational Institute opened with its inaugural class in February 2018! With valuable job skills our graduates are able to earn a meaningful income - now that’s economic opportunity! Soon-to-be tailors learn fashion and design. Graduates are able to sew school uniforms, alter readily available second-hand clothing and create original clothing designs of fine attire. Eager cooks learn recipe development, menu planning, good sanitary practices, food service and safety; allowing them to secure employment in restaurants, hotels, school dining halls and construction site canteens. Aspiring metal workers create essential items Ugandans use everyday like: security gates, curtain rods, shelves, tables and chairs, tools, cooking equipment and farming implements. Students progress from learning how to use hand tools, to operating state of the art machinery and then onto design. Graduates will create sofas, tables, chairs, shelves, stools, cabinets and more. They will work in construction, furniture making or start their own businesses. Students learn proper techniques for cutting, styling and caring for hair. As well as how to do hair weaving and plaiting, enabling them to create elaborate up-dos and braids. Our Information Technology Program had its beginnings back in 2013 with a couple of Windows laptops and some basic lessons. It has grown steadily since then to include a computer lab with 18 work stations that have access to 500 gigabytes of educational connect The instruction syllabus for the program includes introduction to computers, Word, Excel, PowerPoint, web development, introduction to programming, and graphic design. Our curriculum for all the programs includes instruction in business practices like inventory management, book keeping, and marketing, and in employment seeking and entrepreneurship, as well as academic tutoring, as needed. All vocational students receive instruction in computer technology a minimum of three hours per week. Graduates are eligible to sit for national certification exams and to apply for a business start up loan.